As reform efforts advance, it’s clear advocates of national affordable housing trust funds would again achieve a victory at taxpayers’ expense. Ideally, federal lawmakers would simply dissolve Fannie Mae and Freddie Mac, and in doing so, put an end to the federal redistributive policies. As federal housing finance reforms unfold, federal policy leaders should ensure that private capital, not crony government funds, finance housing markets in the U.S.
Congress just can’t stop interfering in housing markets. And as reform efforts advance, it’s clear advocates of national affordable housing trust funds would again achieve a victory at taxpayers’ expense. Unfortunately, federal reforms that perpetuate the “national trust fund” and “duty to serve” policies are fundamentally misguided and would continue to destabilize housing markets across the U.S.
Nearly three decades ago, the federal government began to erect a system of “affordable” housing subsidies that encouraged the 2000s mortgage credit bubble and subsequent unraveling of U.S. housing markets and financial system. Throughout the 1990s, during the aftermath of the Savings and Loan bailout that alone cost taxpayers in excess of $120 billion, federal policymakers began to use the government-sponsored enterprises (GSEs), Fannie Mae and Freddie Mac, as political instruments to achieve affordable housing policy goals. These efforts culminated with the Clinton administration pledging that both GSEs would purchase $2.4 trillion worth of mortgages to support homeownership for low- and moderate-income homebuyers. The rest is history. 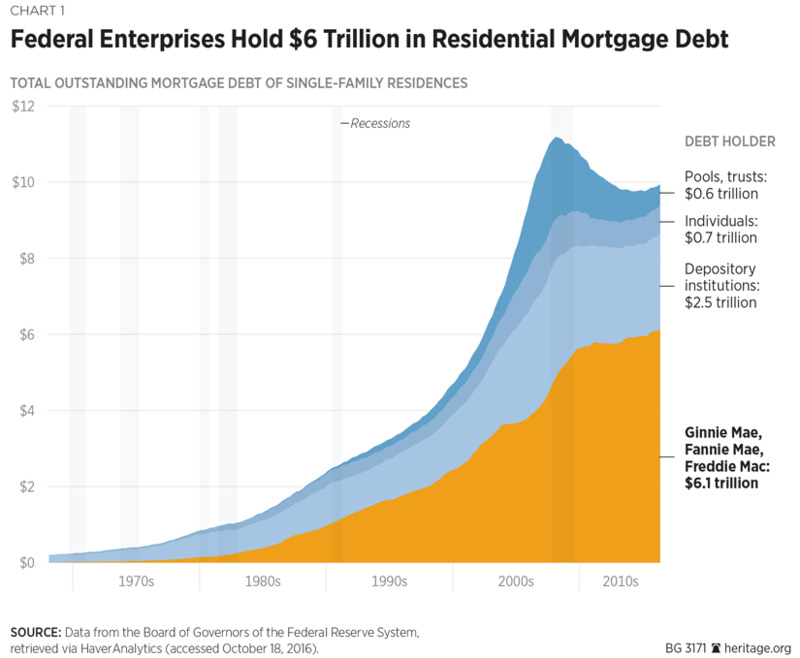 Over the next decade, both Fannie Mae and Freddie Mac were central to the affordablehousingpolicy extravaganza that led to the long-termdegradation of underwriting standards, an explosion of residential mortgage credit and debt liability among financial institutions, as well as the systemicrisk concentration in the financial system. Because of the taxpayer-backed privileges conferred on both Fannie and Freddie, as well as the fact that they were accountable to achieve affordable housing goals determined by federal policymakers, both GSEs benefited from an implicit government guarantee and lower debt funding costs to cover the substantial growth in their respective mortgage investment portfolios. To fulfill the federal affordable housing policy mandates, Fannie and Freddie began to lower the underwriting quality required of mortgages they purchased. The affordable housing goals required of Fannie and Freddie resulted in lower quality mortgages purchased by the GSEs and moral hazard in the financial system. Ironically, when the housing and financial system began to unravel in 2008, federal policymakers seized the opportunity to expand the federal affordable housing policy apparatus by enacting into federal statute a long-held wish of affordable housing advocates: a permanent national affordable housing trust fund. Specifically, Congress used the Housing and Economic Recovery Act (HERA) of 2008, to create the Housing Trust Fund (HTF) as an additional source of funding designated for affordable housing assistance to low- and very-low income households. 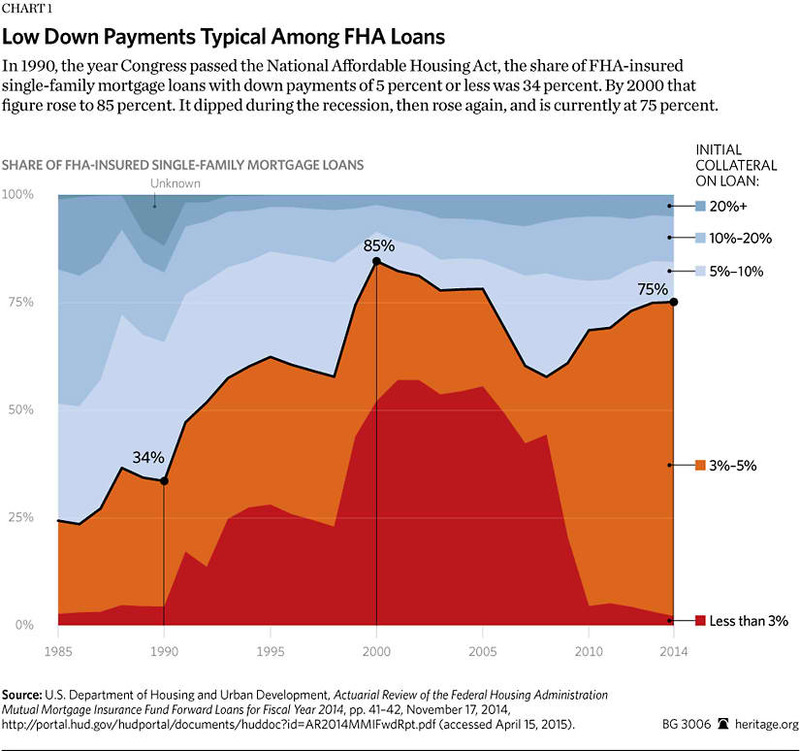 HERA provided the Federal Housing Finance Agency (FHFA) the discretion to direct both Fannie Mae and Freddie Mac to reserve a specified share (0.042 percent) of their total new business (mortgage) purchases to finance the HTF (as well as the Capital Magnet Fund managed by the Treasury Department). The FHFA, however, due to ongoing financial concerns with both Fannie and Freddie as well as the extenuating circumstances of the federal conservatorship, decided to keep the spigot to the HTF turned off for several years. Then in 2014, under a newly appointed director by the Obama administration, the FHFA pivoted and allowed GSE revenue to begin filling the coffers of the national HTF. Over the last couple of years, the HTF has been active and both Fannie and Freddie, despite remaining wards of the federal government and in contradiction to the FHFA’s duty as fiscal conservator, have disbursed revenue to the trust fund. Under the status quo, the FHFA director has the power to shut off the financing spigot to the HTF, and, incidentally, federal legislation has been introduced that would either eliminate the concept of the HTF altogether or preclude the financing of the HTF while either GSE remains in federal conservatorship. Ideally, federal lawmakers would simply dissolve Fannie Mae and Freddie Mac, and in doing so, put an end to the federal redistributive policies embodied in the HTF concept. Unfortunately, a recentlycirculated version of housing (and GSE) reform legislation would continue to finance guarantees backstopping the housing finance system as well as redistribute private mortgage credit through a newly created national affordable housing fund. Title V of the released version of that housing reform draft bill outlines the creation of a “new” federal affordable housing fund — which would operate in addition to the HTF and Capital Magnet Fund financed with fees on “legacy mortgages” — and, at the discretion of the FHFA, financed through fees assessed on mortgage guarantors. As federal housing finance reforms unfold, federal policy leaders should ensure that private capital, not crony government funds, finance housing markets across the U.S.
Americans deserve a more affordable and resilient housing finance system, free from onerous “affordable” housing diktats of government bureaucrats and any harmful and credit redistribution policies that have plagued the U.S. for far too long.